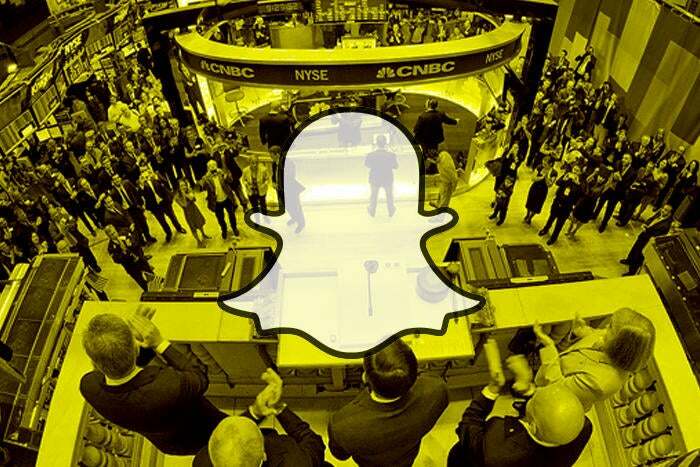 Snap is preparing for one of the most anticipated IPOs in years. The company revealed some surprises and important details about its business in a new filing. Snap, the maker of Snapchat, is no longer shrouded in mystery. The company filed its long-awaited S-1 and revealed many unknown details about its financial status. Snap hopes to raise $3 billion next month in an initial public offering that could value the company at $20 billion to $25 billion. The company disclosed an array of achievements, liabilities and enduring challenges. These are the five most surprising and illuminating details Snap shared as it prepares to hit the road during the coming weeks to generate interest from potential investors. Snap was founded in 2011, but made no attempts to earn revenue until it sold its first ad in late 2014. The company earned $58.7 million in revenue in 2015 and recorded revenue of $404.5 million in 2016. The ramp to revenue has been quick -- it jumped by more than 6 times in 2016 -- and every indication suggests the company will continue growing its ad operations to drive more revenue in the years ahead. Snap has committed to spend at least $2 billion on Google’s cloud infrastructure during the next five years, including a minimum annual payment of $400 million. “We rely on Google Cloud for the vast majority of our computing, storage, bandwidth and other services,” the company wrote in the filing. Snapchat has an average of 158 million daily active users (DAU) and continues to grow its user base, but the rate of growth dropped significant during the second half of 2016. The app gained 5 million DAUs in the fourth quarter of 2016, down from 10 million in the third quarter and 21 million in the second quarter. Snapchat borders on addictive behavior for many of its users. Snapchat’s users collectively send 2.5 billion “snaps” per day, more than 60 percent of the app’s DAUs use the chat feature to send snaps and talk with friends and 25 percent of Snap’s DAUs post to their “Story” every day. Users also visit Snapchat an average of 18 times each day, but the level of return engagement fluctuates largely according to the age of each user, according to Snap. Users 25 and older visited Snapchat 12 times and spent 20 minutes on the app every day during the final quarter of 2016. Younger users, however, visited Snapchat more than 20 times and spent more than 30 minutes on Snapchat every day during the same period.